Our Ride On Lawn Mowing equipment is commercial grade allowing us provide you with a quality finish. We take pride in servicing equipment so you get the best results every time. By using a ride on mower whether the property is residential or commercial, we can get your lawns looking their best. 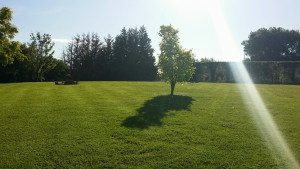 There are many different aspects to maintaining a healthy lawn. At Acre Lawns we have extensive knowledge and experience to ensure you lawn is given the best chance to thrive. Like push lawn mowing, we pay close attention to detail and ensure your lawn is cut at the correct height to maintain it's health. Contact us today for a quote for a regular scheduled or once off lawn mowing service. 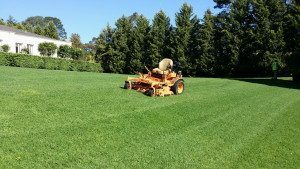 All our Ride On Lawn Mowing quotes include mowing, edging and blowing unless specified otherwise. 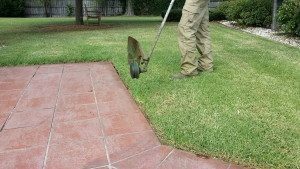 I have been using Acre Lawns for about 3 months on different jobs. Eric and his team are very organised in the way that they work, no mess, no fuss, know what they are doing, and they do it quickly. Eric's approach is very professional and courteous, and he and his team are nice people to deal with. I am happy with their work and would recommend them to anyone. Eric was so professional, he helped me short notice and did a fantastic job! Would highly recommend Acre Lawns.